Built with Google's Flutter framework. Whether in the office, visiting clients, or on vacation, you can create clients & invoices on the go, and get paid! Business Owner? Time to get paid. View revenue, invoices sent, active clients, and invoice averages. Create clients and send an invoices in seconds. 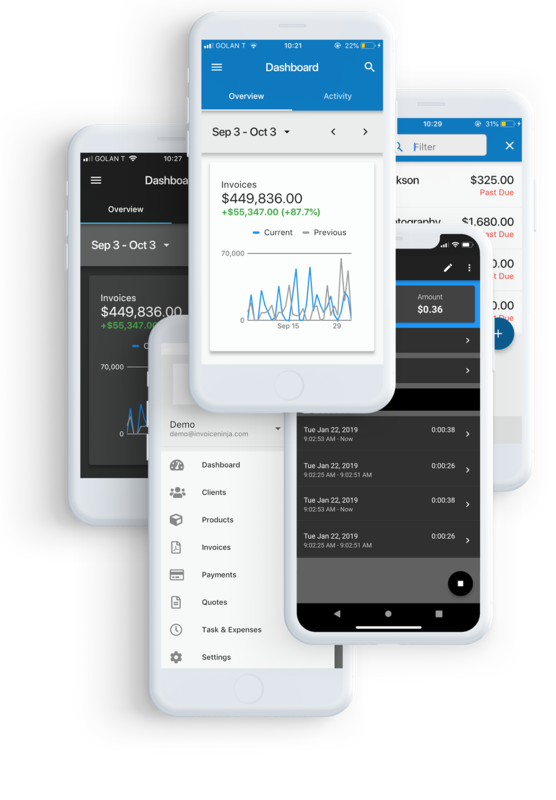 Invoice Ninja is cloud-based which means all your data can be synced across multiple platforms and devices. 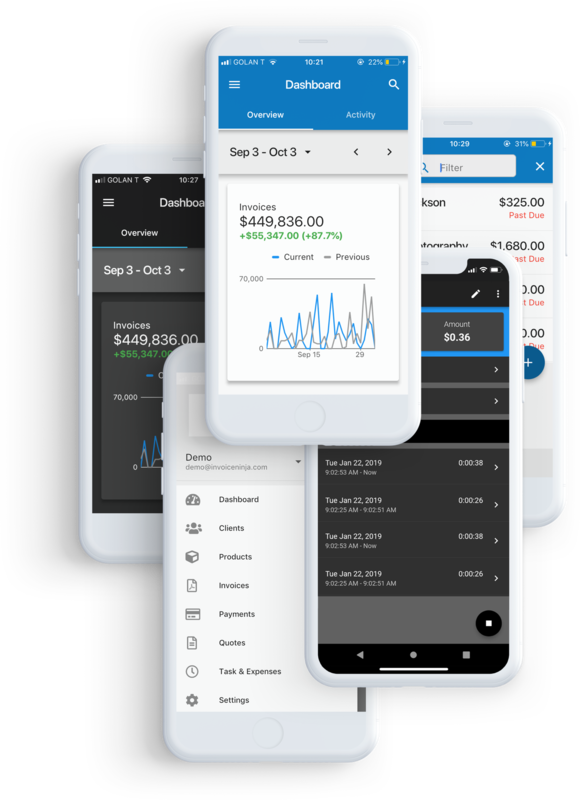 You get a ton of features in the Invoice Ninja app alone but when integrated with other apps, your options are unlimited. You’ll be a true ninja, in full control of your business, even when on the go!